The material commonly known as Tungsten Carbide is a product of power metallurgy and is simply a composition of finely divided particles of pure tungsten carbide locked together in a binder of cobalt with or without additional carbides of titanium, tantalum, niobium or vanadium. Without the cobalt, tungsten carbide by itself would be extremely hard but brittle and porous. 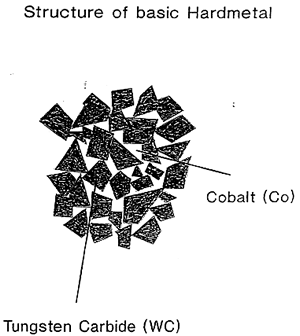 The softer and ductile cobalt coats the carbide particles and fills the inter-granular voids. This reduces extreme hardness in the composite material but imparts mechanical strength and renders it practical and indeed invaluable for many engineering applications. 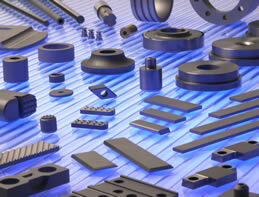 Established in 1952 Dymet Alloys are today a division of Corewire Limited.